Florida is home to over 2.5 million acres of freshwater which are available in the form of ponds, lakes, rivers, streams, springs, man-made canals and wetlands. Hundreds of the lakes and ponds were formed naturally through various geologic processes whereas hundreds more are artificial, being constructed on housing developments, shopping centers, and golf courses. Lots of these waters are stocked with fish, whereas others gain a fish population naturally, either arriving through something like a feeder stream or eggs and fry being brought in on the webbed feet of wading birds. Either way, the bass fishing in Florida is very good – pretty much everybody of water will hold a head of fish. There’s a saying in Florida that goes ‘if the pond doesn’t dry up, it will hold bass’. 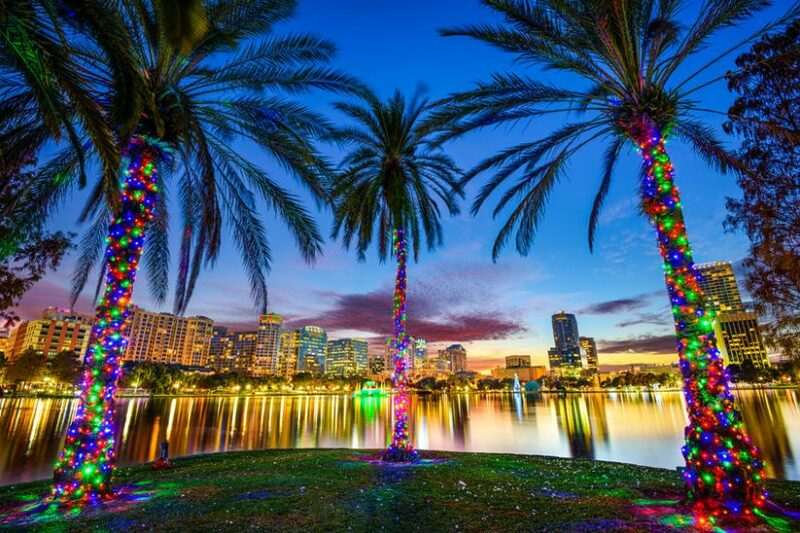 One of the most popular areas of Florida to vacation in is Central Florida, with the majority of people heading to Orlando/Disney World or the surrounding area for the sites and family fun. But Greater Orlando area and surrounding region are also known for something else – its great fishing or, more precisely, the best bass fishing in Florida. In fact, it is world-class bass fishing! And it seems outstanding fishing opportunities are all around you in this place. Wherever you choose to stay while you’re in Central Florida/Orlando, you can bet you won’t be very far away from water, more than likely you’ll be within easy walking distance. You’ll find lots of ponds and lakes within the grounds of hotels and resorts, along the roadside, on housing developments, around public places such as parks as well as on golf courses. Fishing is generally allowed in these types of waters, but just make sure that there aren’t any ‘No Fishing’ signs erected and you can gain access without jumping over a fence or trespassing. Heed to any signs and you shouldn’t have a problem. As well as the many small waters that are in the area, Central Florida is also known for its many larger lakes. 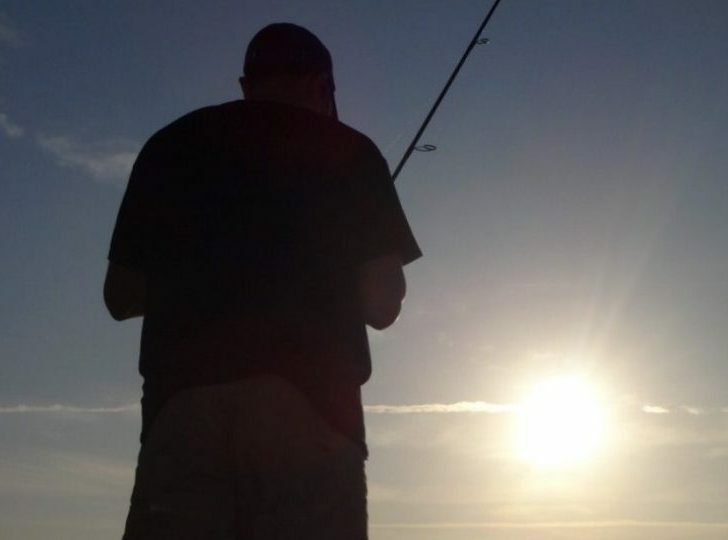 Whether you go it alone or use the services of a professional bass fishing guide, these great lakes are all stacked with fish and offer some great sport. 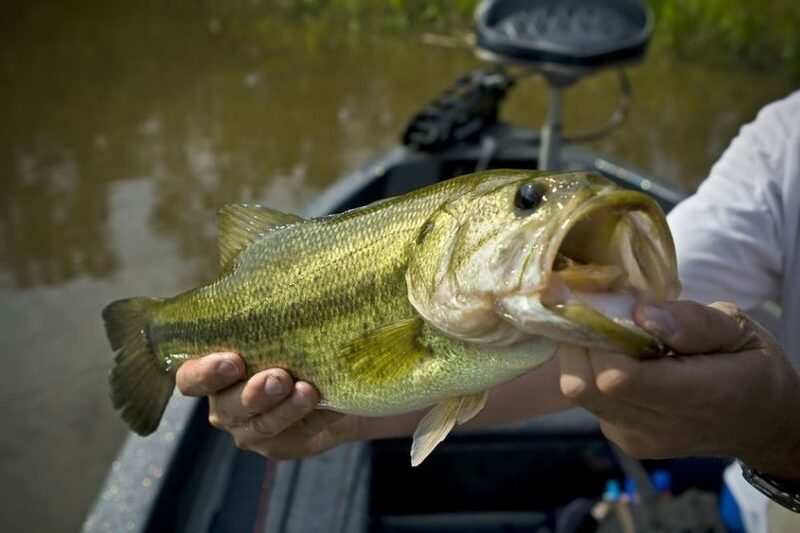 Let’s take a look at some of the top bass fishing spots in Central Florida, with some tips on how to fish them successfully. The Kissimmee Chain of Lakes is generally considered by anglers to be West Lake Tohopekaliga, East Lake Tohopekalgia, and Lake Kissimmee. The surrounding area includes more than two-dozen other lakes, such as Lake Cypress, Lake Hatchineha, Lake Marion, Lake Gentry and Lake Jackson. There are also numerous tributary streams and the Kissimmee River. Although all the lakes are fishable, I’m going to look at the main lakes in a bit more detail, which are West Lake Toho, East Lake Toho, and Lake Kissimmee. Lake Kissimmee, which is just under 35,000 acres in size, is the largest of the lakes that make up this chain. It’s a relatively shallow lake with massive beds of Hydrilla and lots of Kissimmee grass, which provide ideal fish holding areas. There are also large shell beds out in the open water which hold large numbers of schooling fish. Slow trolling wild shiners along the edge of and in the vegetation can produce trophy-sized bass, as can flipping artificial baits. Out in the open water, lots of fish are caught over the shell beds using live shiners, crank-baits, jerk-baits, and worms. Lake Kissimmee is vast and not all areas hold fish, so don’t loiter too long in one area without catching, move on. An even better option for fishing here is to hire the use of a professional bass fishing guide, who will know the lake well and will be able to put you onto the fish. Other species present here are bluegill, crappie, pickerel, catfish and alligator gars, amongst others. If you head to Camp Mack Road, Lake Wales, you’ll find Lake Kissimmee State Park. Here you’ll find a boat ramp as well as good fishing from the canal banks, marina, and dam. West Lake Tohopekaliga, or Lake Toho as it’s commonly known, is a large lake covering over 18,000 acres and measuring 42 miles in circumference. Long renowned for putting out more trophy-size bass (7-8 pounders are common here) than any other lake in the country, Bassmaster magazine stated in 2016 that Lake Toho is the most consistently productive bass lake in the country both in terms of numbers of and size. In fact, Toho is the host of many big annual fishing tournaments, with the Bassmaster’s being one of its biggest ones. The lake was really thrown into the spotlight in 2001 when Bassmaster Elite Series pro Dean Rojas caught the heaviest 5 bass limit in Bassmaster tournament history, weighing in his five fish for an incredible 45lb 2oz.! It’s a relatively shallow lake, with large areas covered in various types of aquatic vegetation, the most abundant being Hydrilla. There are also large areas of shell beds which can hold groups of schooling fish. The best producer of trophy-sized fish are live wild shiners, but plenty of fish are caught using artificial lures such as trick-worms, senkos, flukes and various crankbaits. Apart from bass, the lake holds lots of bluegill, sunfish, crappie, pickerel and alligator gars. Bank fishing is available at the lake, but for the best results use the services of a local bass fishing guide. Lake Toho Marina has public boat ramps and a very well stocked shop, selling all sorts of tackle, including live shiners, as well as hot and cold food. East Lake Toho runs almost adjacent to West Lake Toho. This lake is exceptionally clear, with water visibility possible down to ten feet, which is partly due to the fact that it has far less vegetation than West Lake, although there are beds of aquatic vegetation. East Lake is almost circular in shape and quite a bit smaller than West Lake, covering almost 12,000 acres. The depth on this lake averages between ten and fourteen feet, although it does drop to around eighteen feet in a certain area. Though East Lake Toho is sometimes overlooked by anglers in favor of its neighbor West Lake Toho, there is some fantastic largemouth bass fishing to be had here. There are shell-beds present which hold schooling fish, as well as other fish holding features such as various reeds, grasses, and pads. Crappie, bluegill, catfish, alligator gars, pickerel, and sunfish are all present in the lake, with bass being the most popular. There is a boat launch available at Lakeshore, St. Cloud, plus a large car park. There is a fishing pier and bank fishing available, although like West Lake Toho, using the services of a guide who knows the water well would be beneficial. 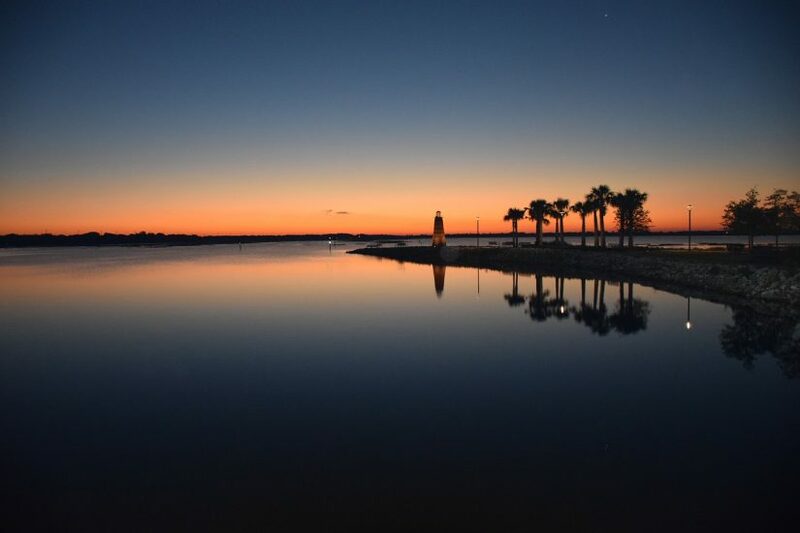 A ten-mile drive north of Disney World will see you arrive at Lake Isleworth, just one of the lakes that make up the Butler Chain. The only way to access this series of interconnected lakes that make up the chain is from this location as it’s the only lake that has a public access boat ramp. Once here, you can then access the other lakes, which are Lake Butler, Lake Down, Lake Tibet, Lake Sheen, Lake Blanche, Lake Louise, Pocket Lake, Wauseon Bay, Little Fish Lake and Lake Chase. All the lakes here are reasonably similar to each other, in that they relatively deep compared to most Florida lakes. Some parts of these lakes have holes which can reach a depth of around fifty feet, which were caused by limestone being dissolved resulting in sinkholes. Large areas of these lakes have abundant submerged vegetation, with humps, ledges, and drop-offs holding a good head of fish. There’s also a lot of bank side reed lines and grasses which also hold a good number of bass. This is also the place to see schooling fish twelve months of the year. A great way to target trophy sized fish here is to free-line a live shiner amongst the submerged features and along the reed and grass lines. Slow trolling a shiner behind the boat will also catch good numbers of fish. Artificial baits work well here, especially a wacky rigged senko or weightless fluke, as well as spinnerbaits and topwater lures. There are lots of alligator gars present, as well as pickerel, bluegill, and crappie amongst others. Bank fishing here is very limited, so having access to a boat or using a fishing guide will be very advantageous. There is ample parking at Lake Isleworth, but there is no shop, so make sure you have everything you need before you arrive. These lakes get quite busy at weekends, with not only fisherman but jet-skiers, water skiers and pleasure boat users, so you’ll find things a lot quieter during the week. If you head out of Orlando on Highway 50 towards Clermont, you’ll pass through North Park, which is home to Johns Lake. The lake is over 2,400 acres in total and is split into east and west pools connected by a channel. There are also three smaller lakes that are also connected to the main bodies of water which are Clear Lake, Black Lake, and Horseshoe Lake. The water in this lake has got a brown tinge to it, which is quite common for lakes in this area and depths go up to approximately the twelve-foot mark, although deeper holes are present. John’s Lake offers various forms of cover. Thick grass beds, lily pads, reeds, hydrilla and submerged trees and branches offer the fish protection as well as providing the angler with good visible areas to target. Good electronics will pick out the submerged grass beds which will hold good fish as well as the deeper holes and drop offs. Fish are also known to school in the connecting channel, so fishing here can produce good results. John’s Lake also has a lot of lakefront dwellings, so targeting the reed-lines and dock areas of these properties can produce good results. In the Spring of 2003, over five hundred thousand bass fingerlings were introduced into the lake, which are now growing into good-sized fish. Live shiners are the number one bait for catching trophy-sized bass, but lots of fish are caught on artificial lures such as rattletraps, worms, senkos, flukes and spinnerbaits. Spring and Autumn are great times to try for some topwater action. The lake is situated just off Highway 50 in-between Orlando and Claremont, with the boat ramp just off Lake Boulevard, Winter Garden. The ramp offers a floating courtesy dock for bank fishing, plus a paved car park which is capable of accommodating several vehicles. When it comes to selecting artificial baits to use in Central Florida, you not only want a few soft plastics but also a selection of hard baits too. The main soft plastics to use will be trick-worms, senkos, flukes, craws/grubs. Trick-worms and craws/grubs can be used either by rigging them weedless and weightless or by adding a small worm weight, around the 3g-7g will be adequate. When using a weight with these baits, slowly flick it across the bottom, with a three or four-second pause every three of four flicks. Bass will generally pick this bait up when it’s static, so pausing is critical. These baits can also be fished weightless. Senkos and flukes should be rigged weedless and weightless, with the wacky rig also an option with the senko. The one important thing to remember is that once you’ve cast out your lure when fishing weightless is that you must let it sink naturally on a slack line. This is when the bass will take it nine times out of ten. Once it’s settled, give it a couple of seconds and lift it up off the bottom, letting it sink again on a slack line. Remember, when fishing in Central Florida, slow things right down. The biggest bass are caught when your lure is doing nothing. As well as soft plastics, hard baits produce large numbers of fish. One of the most exciting ways to fish is by using a topwater lure such as a devils horse or a spook. Fish these in a stop-start motion. Give the lure several short sharp flicks and let it sit, even for fifteen to twenty seconds. Bass will hit the lure when it’s moving, but generally, they’ll take it when it’s sitting there idle. The same goes for diving hard baits such as the rattletrap. Work the lures hard, then pause for a second or two, then work it again. Another successful artificial bait to use is a skirted swim jig. Using a craw/grub as a trailer, fish this the same way as you would the weighted trick worm. A few flicks then a pause for a few seconds will take bass, especially when working these along the reed lines and around structure. As far as tackle is concerned, a rod (travel rod, perhaps) of around the seven to eight-foot mark with a medium-heavy action is ideal. It’s a matter of preference whether you opt to use a spinning outfit or a baitcasting style rod. If you decide on using live shiners, circle hooks are your best option. Anything between 2/0 and 4/0 will suffice. Also, weedless hooks in the 2/0 to 4/0 size range will cover your soft plastic fishing. For those of you that need to buy anything fish related, there’s a Bass Pro Shop situated at the top of International Drive by the premium outlets, who offer not only a good range of tackle but also good advice. There you have it. Now, the next time you visit Disney and/or Central Florida, don’t forget to pack your fishing pole. This entry was posted in Bass Fishing, Fishing Locations, Recreational Fishing on July 11, 2018 by Damion Fryer. I have a brother in central Florida and he’s often told me how great the Bass fishing is. I’ll make sure to bring some gear along next time I’m down visiting. Hi Andy. 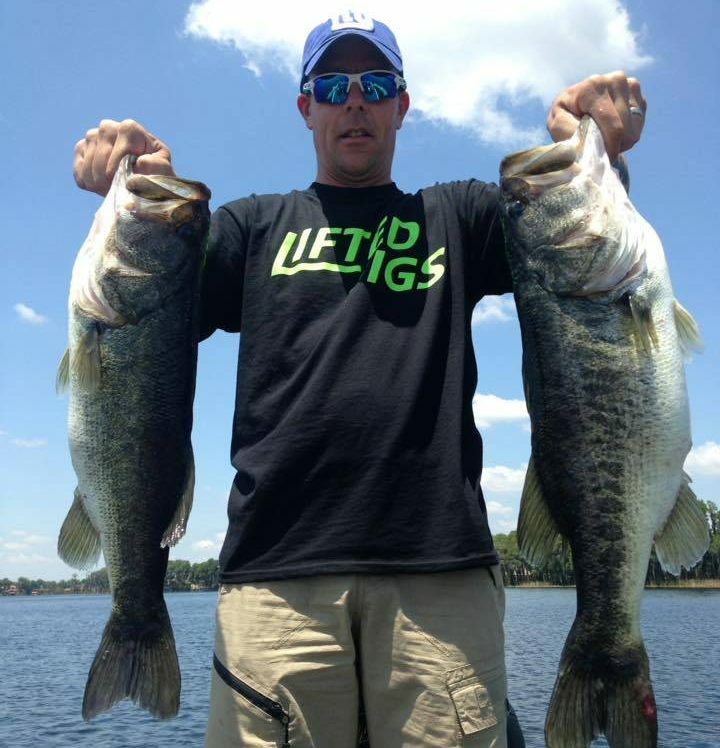 Central Florida is a largemouth hotspot; you’ll definitely want to throw out a line if you’re in the area! I didn’t know Central FL had so many good bass fishing holes. The next time I’m at Disney with the family I may just try out one of them. Thanks for the lake-specific tips too. Hey C.C., Florida gets a lot of attention for its saltwater angling, but inland regions like Orlando/Central Florida are some of the best bass grounds in the country.